Balanced Diet & Exercise | Healthy Lifestyle with Superfoods! Scientists remind us that to enjoy a healthy lifestyle, it’s important to have a balance of exercise and good diet. Berries are a delicious contribution to a healthy diet. These colorful fruits are considered superfoods that promote disease prevention. For news and information about nutrition and healthy living, read on! Did you know that regular physical activity could help kids develop strong bones and reduce their chances of disease later in life? Exercise may help adults to achieve a healthy weight, reduce stress and improve overall well-being. Get your family involved in a regular exercise plan that you can all enjoy together. Be sure to include good-for-you fresh produce in your family's diet. Kids love fresh berries and it's easy to include them in quick and easy recipes, or as on-the-go snacks. Eating a balanced diet rich in fruits and vegetables is essential to maintaining good health and longevity. Studies show that low fat diets in fruits and vegetables may reduce the risk of some types of cancer, a disease associated with many factors. Berries along with other produce and foods, are considered superfoods. To earn the superfood label, products must naturally be a good source of antioxidants, phytonutrients, fiber, protein, vitamins and minerals and, be low in fat, cholesterol, sodium and trans fat. Berries are a delicious and easy addition to a healthy diet. Berries are becoming increasingly important in our diets as much more health benefits are discovered. Most berries have been found to have disease fighting properties and fall under the superfood category. Berries are available year-round, thanks to new technology in variety development and distribution systems. Naturipe® offers a wide selection of organic and conventional berries throughout the year. Scientists and medical experts remind us that maintaining a good balance of diet and exercise will complement a healthy lifestyle. Berries are a delicious contribution to a healthy diet. These colorful fruits are considered superfoods that promote disease prevention. For news and information about nutrition and healthy living, read on! Eating a balanced diet rich in fruits and vegetables is essential to maintaining good health and longevity. Studies have shown that low fat diets rich in fruits and vegetables may reduce the risk of some types of cancer, a disease associated with many factors. 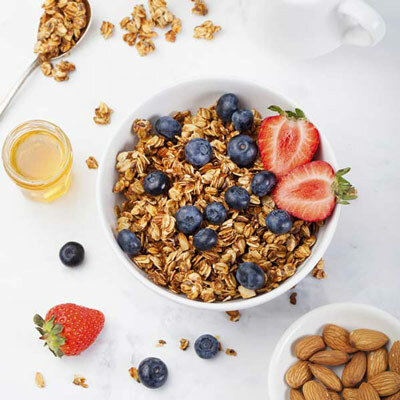 At the same time, diets low in saturated fat and cholesterol and rich in fruits, vegetables and grain products that contain dietary fiber may reduce the risk of heart disease, a disease associated with many factors. Naturipe’s family of farmers is truly proud to bring healthy options to family tables around the globe. The shelf life of fresh berries varies by berry type and the age of the berry at the time of purchase. Always look for berries that are unblemished and fresh looking, and try to purchase your berries from a refrigerated display. Keep your berries refrigerated at home, as maintaining a cool temperature is the key to the longevity of the berry. Do not wash berries prior to refrigeration. 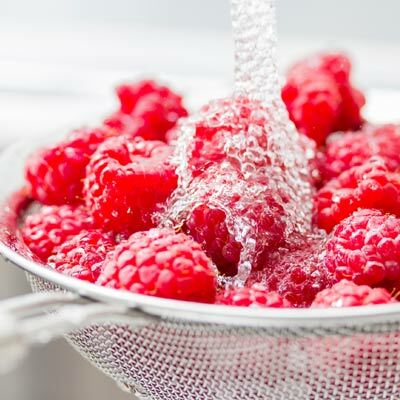 Simply rinse your berries in cool running water prior to serving.